America's family fun capital, Disney World is the largest and most popular theme park in the World and covering 47 sq miles. It consists of four major theme parks, two water parks, a couple of golf courses, an indoor theme park and much more. Plan your family vacation and create memories for a lifetime. Hours of operation vary throughout the year and are often influenced by special events, so it's a good idea to call to check opening/closing times. Which attractions are open during Extra Magic Hours? It's free, it's simple, and it saves you from standing in line for the most popular rides. Fast Passes for Toy Story Mania (Studios), Expedition Everest (Animal Kingdom) and Soarin' and Test Track (Epcot) are so popular, they are gone by mid-afternoon! It is not unusual to arrive at the attraction at 10 am to find the FASTPASS time for your return is mid to late afternoon. Expedition Everest and Test Track offer a Single Rider Line -- consider using it! FASTPASS is essentially a "virtual" queuing system - guests who obtain a FASTPASS are entered into a virtual queue in the computer which saves their space in line and then (based upon how many guests are in front of them in the virtual queue) calculates the time it would take to come to the front of the line -- this becomes their return time. 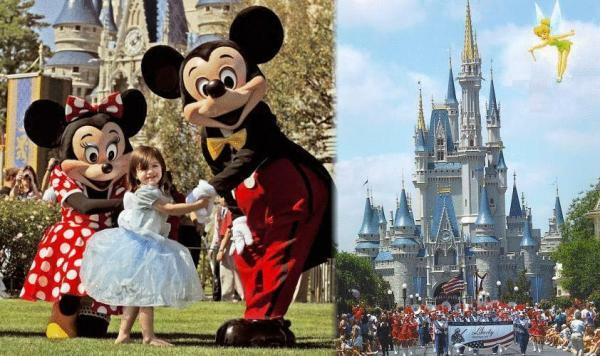 With four major theme parks Magic Kingdom, Epcot, Disney's Hollywood Studios, and Animal Kingdom....a Walt Disney World vacation can be complex and costly: all the more reason to plan carefully to make sure you have the best possible time. Check out age and height requirements for attractions: you don't want your child to look forward to a ride he/she can't go on! Study the park calendars for parades, live entertainment, and fireworks, so that you get the most from each day. Remember, distances between the parks are considerable, so if you want to end up in a particular park for fireworks, plan accordingly! During busy times, parks stay open late and you may find extra parades and fireworks. Unlike other counter service locations, drink refills are free at the Backlot Express Restaurant at Disney's Hollywood Studios. Use the single rider line on some of the most popular attractions to dramatically decrease wait time. It is available at Rock N Roller Coaster, Expedition Everest, Test Track, and Mission: Space. Every hour of the day, and well into the night, blessedly cool Disney buses ferry people free from one park to another and to and from the Disney resorts. Monorail and boats are other cool ways to get around. Be sure to understand ticket purchase. Magic Your Way: park admissions are sold as a base ticket plus options. Save money at counter service restaurants throughout the parks by requesting the entree without the sides. By ordering a sandwich without the fries, you can often save over $2! Pick your park according to "Extra Magic Hour". Which park will you go to today? Keep in mind that, every day, one of the four theme parks opens early for Disney World resort guests only. Either rush to the early opening yourself, (if you're staying "in the World"), or avoid that park for most of the day. It's easy, it's free, and usually entails no commitment -- yet you get seated quickly instead of waiting in line. Each edition is updated with the newest information, and has so many tips for saving time and money that it is well worth reading more than once. Unofficial Guides field tested touring plans can save as much as four hours of standing in line in a single day. You can purchase your Base Tickets for durations running from a single day to several days, with the latter being the most cost effective; the longer you stay, the less you'll pay per day. There are loads of different Walt Disney World tickets and passes, and it can be very confusing to figure out which ones to buy and how to get the best discounts and deals on them. There are lots of legitimate ways to get discounted Walt Disney World passes. Unfortunately, there are also many ways to get ripped off. You should never buy partially used passes - Disney tickets are nontransferable. There are now many web sites out there that seem to be offering super low prices on Disney tickets. Many are total scams. Unfortunately both of these online resources are extremely popular with con artists. The passes being sold are often partially or completely used up (if they even bother to send you anything at all). There is no way to find out if the tickets are any good in advance of your trip. You are very likely to arrive at the gate and find out you have invalid passes. Web sites that offer exceptionally low prices for Disney tickets may be promoting timeshares. Are Disney Annual Passes For You? A neat thing about leftover days on a child's "no expiration" ticket: if the child turned 10 since you bought the ticket, he or she will need an "adult" ticket to enter the theme parks. In these circumstances, the child's ticket may be presented at any Guest Services location, in person only, to have it exchanged for the required "adult" ticket -- at no additional charge! This only applies to partially used tickets that have not expired. You can apply the value of an unused ticket, or even a partially-used one with days left on it, toward the purchase of a higher-priced ticket. The first thing you should do when you buy Walt Disney World tickets is make a photocopy of the reverse side (the side with the magnetic stripe). If you lose your ticket, your only hope of getting it replaced is to have the coded information on the back. The seemingly random numbers, letters and dates you'll see in a couple of locations on the backs of your tickets will help Disney replace the tickets if you lose them. Disney will usually reissue a pass if you can provide that information, though it is not obligated to do so: the tickets state that "Disney is not responsible for misplaced, lost or stolen tickets." Purchasing multiday tickets (from 4 days and up) ahead of time (through AAA or the Orlando Convention & Visitors Bureau) can result in substantial savings (up to $12 per adult and $8 per child ages 3-9 depending on the type of ticket). The savings for a family of four easily can add up to $40 -- that's worth a lunch (well, at least a snack in Mickeyville). Single-day and multiday admission prices don't include Florida's sales tax and are subject to change. If you plan to visit Walt Disney World and Disneyland in the same year, it may be worth considering the Premier Passport, which is good for one year of unlimited admission at both Disneyland and Walt Disney World. Orlando International Airport (MCO) located in Orlando; in Orange County, Florida; is the closest commercial airport to Orlando's world-class attractions, the Orange County Convention Center, and the downtown business district. What are the best driving routes to Walt Disney World Resort? There are so many Walt Disney World Interstate exits. Which ones should I take? What is the best way to get to Walt Disney World Resort from the Orlando International Airport? What are some other ways I can get to Walt Disney World Resort from the Orlando International Airport? What is the best way to get around within Walt Disney World Resort? Is parking available at the Theme Parks? How much does it cost? for a vacation CD and the Walt Disney World Vacations brochure; both are valuable planning aids. Both can also be ordered (and even viewed) online at www.disneyworld.com. When you call, also ask about special events that will be going on during your visit. January after New Year; First half of February; September after Labor Day; October; November up until Thanksgiving week. July; August; Thanksgiving week; Christmas week through to New Year's Day.